Where to shop in Dallas for your great outdoors. Jean Liu hand-selects everything that appears in Stori Modern’s six collections. Her criteria: Each item must be beautiful and unique, but also highly functional with top-of-the-line construction. 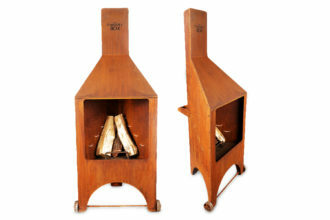 Tom Goodson designed an outdoor fireplace that is well designed and easier to tend and clean than a traditional fire pit. Plus, it’s prettier. The fireplace arrives assembled. The luxury performance fabric line created by Ann Sutherland features 800 selections that are fade resistant, mold and mildew resistant, and bleach cleanable. The outdoor furnishings company, which sent out its first catalog in 1991, opened its flagship store in Plano last summer. The offerings include patio furniture, pool accessories, outdoor kitchen decor, and more. The locally owned patio megastore has been in business since 1946. The showroom carries a well-edited selection of furniture and accessories to complete your outdoor oasis. 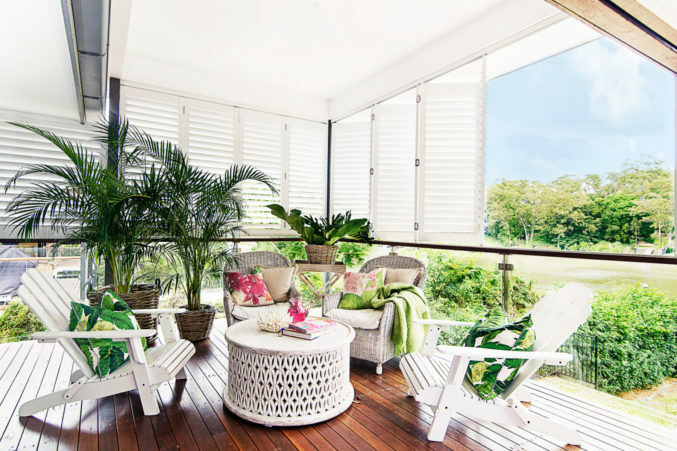 SHUTTER STOCK: The aluminum plantation-style shutters can be opened or closedto create a true indoor/outdoor living experience. 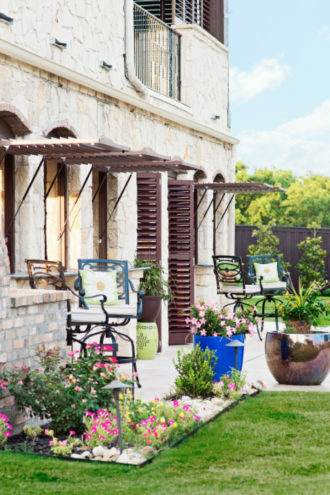 Ryan Fitzgerald, vice president of The Window Outfitters, came up with the idea for Weatherwell Elite aluminum shutters as a solution to a universal problem in Texas—how can homeowners use their outdoor spaces year round? (Hello mosquitoes, rain, and blistering temperatures.) His Carrollton-based company produces plantation-style outdoor shutters that can encase a patio or outdoor room while protecting the space from the elements. The shutters can also be designed to completely shut and lock, safely securing the AV equipment and furniture. Fitzgerald’s company crafts the shutters in the local factory—each is custom designed for any size space and color scheme. 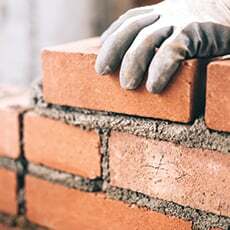 “Every detail of this product has been considered, therefore the quality of the craftsmanship is very important,” he says. 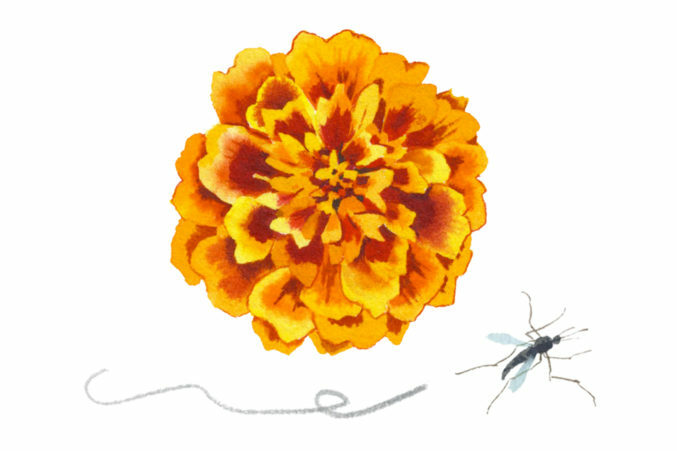 For an organic option to keep pesky mosquitoes at bay, Glenn Bonick of Bonick Landscaping suggests planting citronella, horsemint, and marigolds, as well as any of the scented geraniums, lemongrass, and rosemary. “Any plant that has a distinguished odor will help in repelling mosquitoes,” he explains.